Yeoor Hills, 21st June '08 Yeoor Hills, the Eastern side of the Sanjay Gandhi National Park is a gateway to heaven, in your backyard. A place where people come to party, get drunk and fight. No, that's not what we're going to be talking 'bout here. Tungareshwar Wildlife Sanctuary, 13th June 2008 Tungareshwar was declared a Wildlife Sanctuary in 2003. It is about 85 km sq of forestland. It is located on an altitude of about 2177 ft. It is well known amongsts trekkers and nature enthusiasts and must be visited in the monsoons and winters. 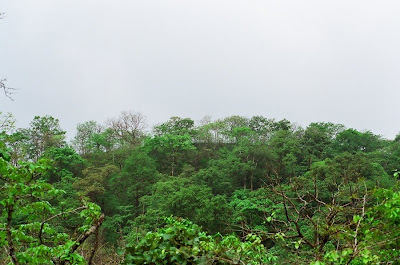 For more information, visit here - http://www.wheremumbai.com/article_archives.aspx?id=265&catid=11 I had gone on a trail to Tungareshwar WLS when the monsoon just set it. And this is the best time when one sees swarms of butterflies mud-puddling, and a variety of other critters. 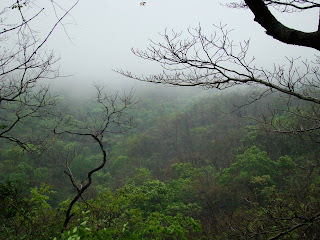 This year, the rain set in quite early, and brought to life a lush green world of nature. The birding was amazing, althought I'm not an avid birder, and the bug hunting was worth it. I love going on trails and treks, and try to capture all the details with my ever-handy Sony H7, although I use an SLR too. Anyhow, I'm much into Macro stuff, I mean Entomology, so this is the place where you'll find a lot of insects and spiders. All the posts would be the highlights of the trails I call the Monsoon Trails and it's called so because it's exclusively monsoon 'round the corner. And the best time to go insect hunting! So watch this place, and any help with the identification of the unidentified thing, mistakes, and stuff like that is highly appreciated.